T h e | D e e p | M i d d l e: Douglas Tallamy's "Bringing Nature Home"
I can see too many holes in this book according to your notes. I taught Biology for years. I've seen adaptation that is caused by man and animal both natural and foreign. If humans were not on the Earth--it would still adapt, change, compete, and keep the cycle marching onward. I sit in the middle on introducing new species and cultivars. There is no peace in nature or man. Both fight for the right to be the dominant one. If you introduce all the natural plants back to any particular area then it will compete with crops for food---you will be affected and eventually your wallet and your children or grandchildren will find a way to make life better and get rid of it. Why not bring back dinosaurs? We will have the ability one day. I wonder if he'd advocate 100% extermination of aliens. Sometimes I think so reading the book, sometimes not. 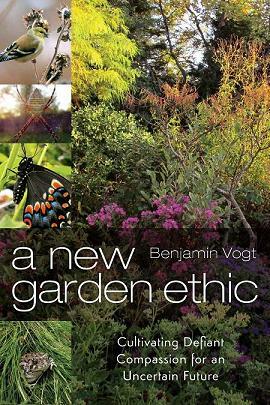 In any case, it has made me more aware of my purchases, habitat / species loss in my region, and refocused my gardening strategies to some degree--all good things I believe. I think growing all the different milkweeds native to an area would be really fascinating. I don't think most people really appreciate just how degraded our remaining natural habitats are getting in this country, due to invasives. It's easy to say that things will just evolve anyway, but it will be a more boring, much less diverse world when man gets done. Don--I've been researching this week what milkweeds are native to Nebraska, and have already placed some order. Hopefully, though, the lolal nurseries will have some started for me BEFORE the monarchs arrive. I've got a smallish 6x6' spread I'd like to put them in. If I had an acreage, I'd seed the thing with whatever natives I could, actually. Some day...? Yes, - Benjamin I agree with a comment you made in your comment response above. The 'man' stuff is all a matter of kinetics - kinetics speeded up such that true adaptations are rarely allowed to occur. I'm not one to think that it is reasonable for man to simply 'stop' looking for new things - new cultivars, new whatever - but it's all about maintaining and respecting what we can of the diversity that exists now. Diversity statistics - the loss of species - to me is one of the saddest things going - my laboratory works on a coral reef off the southern coast of Puerto Rico where there has been a 53% loss in coral covers in the past four years. FOUR YEARS. It's like looking at a watery graveyard. It breaks my heart. Oh Pam, I HATE to hear things like that. No more. Lalala. (I recently read about so many native song birds in steap decline--up to 80%, since just the lates 1960s). But you have an interesting line of work, it seems, and an important one. I agree--we can't NOT have new cultivars, and that's ok, but we should think more native... especially when we so value the native birds, bees, and butterflies (those being the most obvious things). Coneflowers that can't reseed themselves, for example, scare me. I think that the songbirds along the eastern shore have really taken a hit, and I think I notice a difference even at my own feeders. Yes, the coneflowers are a bit freakish, aren't they? It is really easy to plant things that all sorts of wildlife thrive on - folks just get too oriented towards the landscape rather than the ecosystem. My only problem is snakes. Boy do they love my garden - and they make me jump feet up in the air and going running for the stairs (not that I'm that whimpy - I have an infestation of copperheads, have had a timber rattler for awhile, and had water mocassions chase after me). I'm a little late commenting and my thoughts are -- gardening around your home (1/4 acre maybe) and an entire prairie are 2 different things. So while you have major competition out in the wild, it's important to treat your 1/4 acre like an ecosystem that deserves and promotes diversity. And because it's managed you can help make sure that competition stays in check. Thanks for sharing this book with us. Better late than never! I agree 100% with you, and with Tallamy when he says if we all did this, we'd have one large continuous ecosystem. Oh, I'm just so excited about my new garden this year and seeing what bugs and such come my way. Not excited about the snow forecast tonight, though. Hey Benjamin, I liked Tallamy's book. Ever since reading 'The Forgotten Pollinators' and then 'Tracking the Vanishing Frogs: An Ecological Mystery' I have been on a mission to learn more about what can be done, in our own gardens and on a larger scale by supporting natural areas. 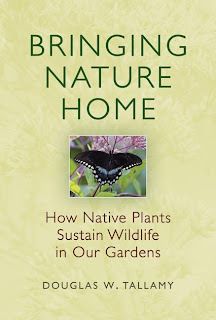 While many books on native plants exist it is very recent that anyone is addressing specifically the insect population and how that connects with native planting and all other life. 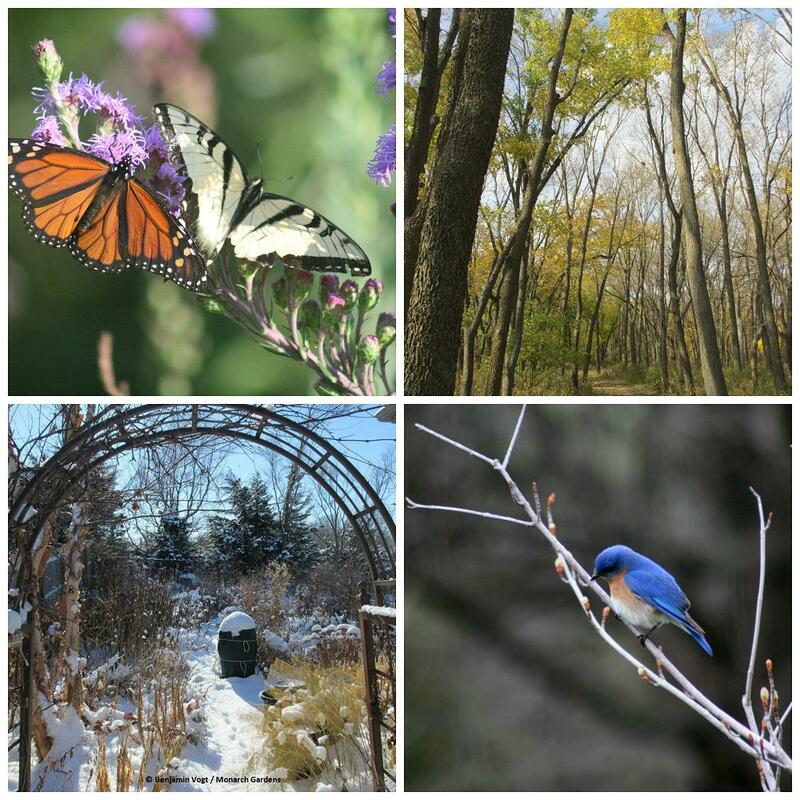 Here is a link to an article about Nebraska plant communities if you are interested. In a very general sense, Nebraska has three basic plant communities - the eastern woodlands, the Panhandle pinelands and the prairies in between. Each has its own unique assemblage of plants, and each has its own distinctive character or "feel." Gloria--Hey, thanks for stopping by! What I really like is, yes, how Tallamy goes a bit deeper into our surface sensibilities as gardeners and humans: if you like birds and butterflies, then you need these bugs, and then you need these plants not for the birds and butterflies (or for good karma), but for the bugs the birds eat. Or something like that. It makes the environmental / ecological appeal more real, more connected, more integral in some ways to us. And thanks for the links--I'm gonna go check them out now. I work with Doug Tallamy and wanted to let you know a good source of determining whether a plant you are interested in is native or not is the USDA PLANTS database. 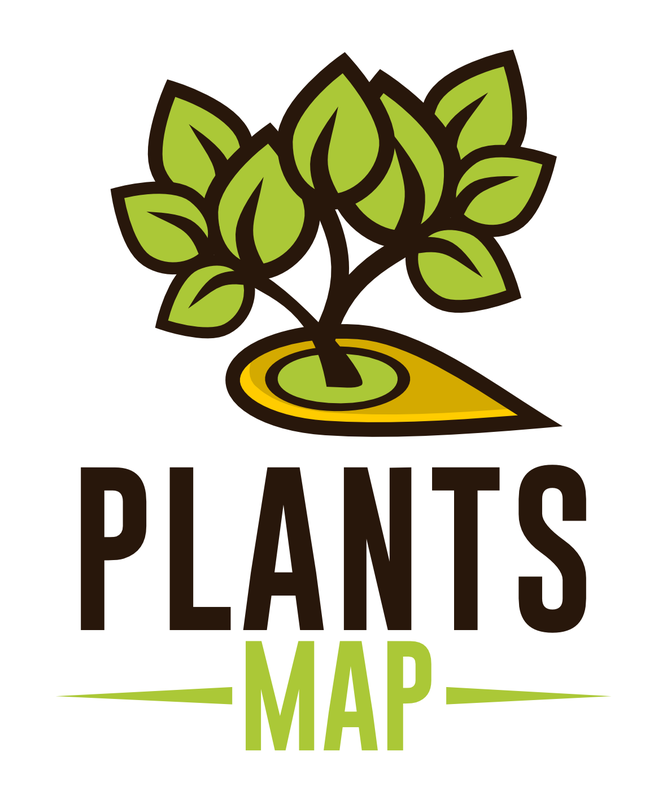 It takes a little know how and a little getting used to, but it is (in conjunction with publications by state natural heritage program flora accounts) the resource we use in our lab to determine whether plants are native to an area. So, if you go to your garden center, find some plants you might want to use, you can check to make sure they are native to your area before buying them. Anon--Since I wroe this post I have found and use the USDA site, though I find it annoying and not super helpful like some other sites, mobot and wildflowers for example. I've also purchased some regional plant guides and am proud to say about 75% of what I have is native. 75%! You are doing better than I AM! I noticed after I posted that this was from March LAST year, so I apologize for coming a year too late. I found your blog because I was trying to find one of Tallamy's older articles for a citation for a paper we are currently writing and you came up in the first page of results. I hope you keep up the good work. It is incredibly difficult to locate and purchase native plants, and the more people who do so, the larger the market and the easier it will become. I'm considering trying to arrange retailer education seminars/resources so retailers might be able to at least accurately answer basic questions about plant origins. Doug Tallamy was the keynote speaker at our Florida Native Plant Society last May. He agrees with you, Anna, (March 2) that plants will adapt to whatever conditions are thrown their way, given time. The problem is that most of these adaptations occur over the course of hundreds of years. We have changed our ecosystems so radically and quickly that many plants and animals are being forced into extinction; they cannot adapt quickly enough. Thus we loose functionality in our ecosystems, loose diversity in population, loose the knowledge that can be gained by understanding how various elements DO adapt. Functioning ecosystems nearby will help support food grown for crops; and of course we need them. Tallamy is not suggesting that we let natives take over, only that if we are wise we will improve our environment by preserving natives instead eradicating them. If you like exotic ornamentals, plant them - as long as they are not invasive- but make the backbone of your garden or yard native.